Ephraim Weber: teacher, writer; born 20 November 1870 near Berlin (now Kitchener), Ontario to Andrew Weber and Veronica (Shantz) Weber. He was the oldest of four sons. In 1909 he married schoolteacher Annie Melrose in Calgary, Alberta. They had no children. Weber died 9 March 1956 in Victoria, British Columbia. Weber left his father's farm near Berlin in 1890, to attend Berlin High School. His teachers, and schoolmates such as William Lyon Mackenzie King, Canada's future prime minister, encouraged in him a deep appreciation for music, literature, and current affairs. He taught school for one year in Ontario, but in 1896 his asthma led him to seek the drier climate of the North West (now Alberta), where Waterloo County Mennonites, including his own family, had homesteaded around Didsbury in 1894. (It was Weber's maternal grandfather Jacob Y. Shantz, a key figure in the settlement of Russian Mennonites in Manitoba during the 1870s, who took leadership also in the settlement by Swiss Mennonites of the Didsbury area.). Weber's passion by this time had turned to writing: from 1896 to 1902 Weber contributed actively to the Mennonite-based Young People's Paper, published in Elkhart, Indiana; from 1902 to 1904 he sought out the stimulation of fellow writers in Philadelphia and New Hampshire. However, meeting little further success as a writer, he returned to Alberta where he worked on the family's farms. 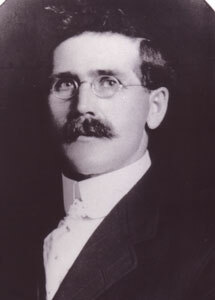 Then, after attending Calgary Normal School, he taught briefly in Calgary. From 1910 to 1917, eager for the opportunity to do more specialized teaching, he pursued MA and PhD studies in French and, later, German literature, at Queen's University in Ontario and the University of Chicago. The North American sentiment against things German conspired with other factors to block his completing his PhD, and he again returned to Canada, this time to take up a series of teaching positions in Saskatchewan from 1917 to 1933: Lajord, Outlook, Oxbow, Battleford. During his retirement he lived with his wife in Saskatoon, Saskatchewan and Victoria, BC. During his lifetime Weber maintained an erudite correspondence with the renowned Canadian novelist L. M. Montgomery, as well as with the eminent Canadian journalist Wilfrid Eggleston, the Kitchener cultural activist Leslie Staebler, and many others. His letters to both are housed in the National Library and Archives of Canada. An articulate pacifist, he joined peace clubs and during the 1940s, the Canadian branch of the United Nations, outlining his pacifist position strongly in his correspondence and in the school systems where he taught. As a writer, his greatest achievement was his novel, Aunt Rachel's Nieces (forthcoming), a gentle satire of the world of Kitchener area Swiss Mennonites during the 1920s, when questions of decorum and dress raged in the churches. Eggleston, Wilfrid, ed. The Green Gables Letters: From L.M. Montgomery to Ephraim Weber, 1905-1909. Ottawa: Borealis Press, 2001. Tiessen, Hildi Froese and Paul Gerard Tiessen, eds. After Green Gables: L.M. Montgomery’s Letters to Ephraim Weber, 1916-1941. Toronto: University of Toronto Press, 2006. Tiessen, Hildi Froese and Paul Gerard Tiessen, eds. Ephraim Weber’s Letters Home: Letters from Ephraim Weber to Leslie Staebler of Waterloo County. Waterloo, ON: MLR Editions Canada, 1996. Tiessen, Hildi Froese and Paul Gerard Tiessen. "Epistolary Performance: Writing Mr. Weber." In Irene Gammel, ed. The Intimate Life of L.M. Montgomery. Toronto: University of Toronto Press, 2005. Tiessen, Hildi Froese and Paul Gerard Tiessen. "Lucy Maud Montgomery’s Ephraim Weber (1870-1956): 'A Slight Degree of Literary Recognition.'" Journal of Mennonite Studies 11 (1993): 43-54. Weber, Ephraim. Aunt Rachel’s Nieces (novel; forthcoming). Tiessen, Hildi Froese and Paul Tiessen. "Weber, Ephraim (1870-1956)." Global Anabaptist Mennonite Encyclopedia Online. 2006. Web. 18 Apr 2019. http://gameo.org/index.php?title=Weber,_Ephraim_(1870-1956)&oldid=135290. Tiessen, Hildi Froese and Paul Tiessen. (2006). Weber, Ephraim (1870-1956). Global Anabaptist Mennonite Encyclopedia Online. Retrieved 18 April 2019, from http://gameo.org/index.php?title=Weber,_Ephraim_(1870-1956)&oldid=135290. This page was last modified on 26 July 2016, at 07:36.